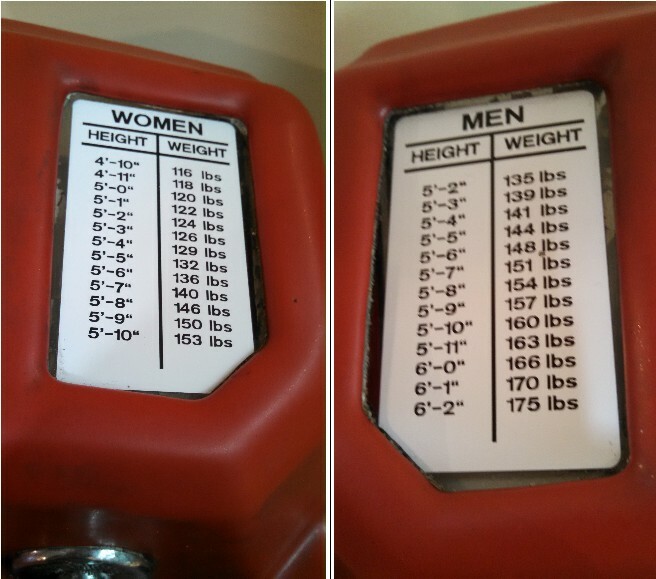 If you’re a woman standing 5’3, then you should weigh 126lbs. Not 125lbs, not 127lbs. But 126lbs. You gotta love the irrational precision of these old-school charts. And if you’re a man standing 6’1, then you should weigh 170lbs. 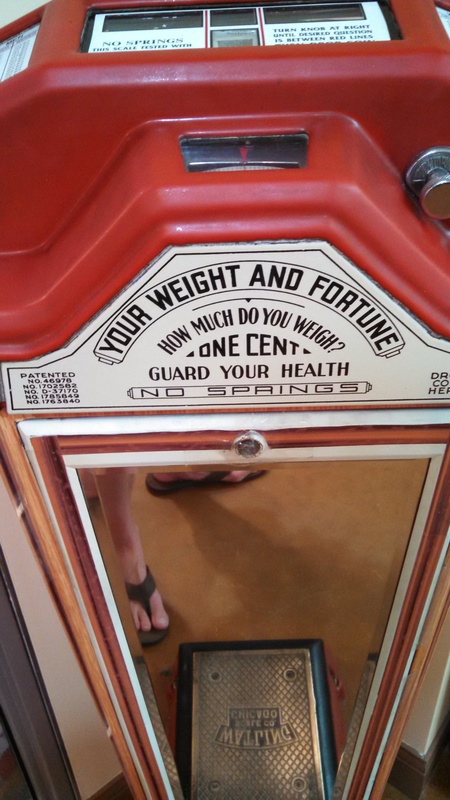 At least according to this century-old carnival scale. Obviously, I don’t think these numbers should be treated as gospel. To be perfectly honest, if you want to get a lean and athletic physique than I personally think 126lbs is a little high for a woman at 5’3… and 170lbs is a little light for a man at 6’1. But I do like the idea of having a chart with cold, hard numbers to shoot for. Q: How I can elevate my testosterone levels? Q: I can only see my top two abs, but I want a full six-pack. What exercises should I do? Q: My upper chest is not as defined as I’d like. What can I do? Carnival scale target weights goals for men and women. 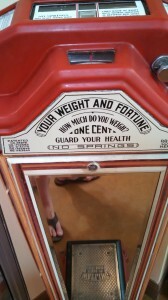 So let me put forth a simple rule, using this creepy old-school carnival scale. So if you’re a man standing 6 feet tall, you should weigh between 166 – 186lbs to achieve a lean & muscular physique. At 166lbs, you will be shredded. 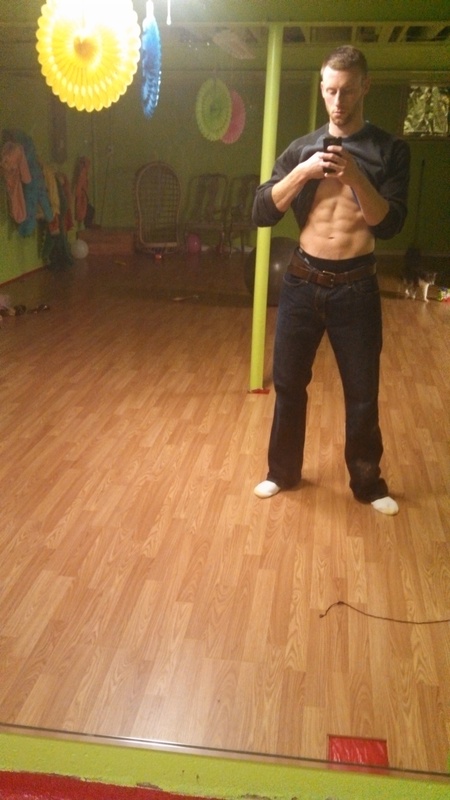 At 176lbs, you will be lean. And you will most likely start to look soft around 186lbs. Let me make one thing perfectly clear: It is IMPOSSIBLE to give someone a hard target of exactly how much they should weigh to find their ideal physique. That is not my intention. I am simply pointing out that MOST people need to lose some amount of fat to achieve their ideal physique and most people don’t have a clear goal in mind of how much fat they need to lose to achieve the look they want. So by using these rules, you can give yourself a benchmark to shoot for. You may never hit the carnival scale target weight (and you may not WANT to) but at least you will have some numbers to work with. As you gain experience you can decide for yourself whether these numbers are a good measuring stick for you or not. By the way, here’s a picture of me. In this photo I am about 7-8 pounds heavier than my “carnival target weight” so you can get a visual representation of what it looks like when someone gets close to their carnival target weight goal. If you liked this article, please share using the buttons below. And then make sure you grab this free report. So what if you are the exception, and you are at or just below your carnival weight, but still no abs? It would suggest that you are undermuscled, but I’d need to know more, height, weight, waist size, etc.